Of course, you can find us all day, every day on our website, Facebook and Instagram (@iowaquiltmuseum)! 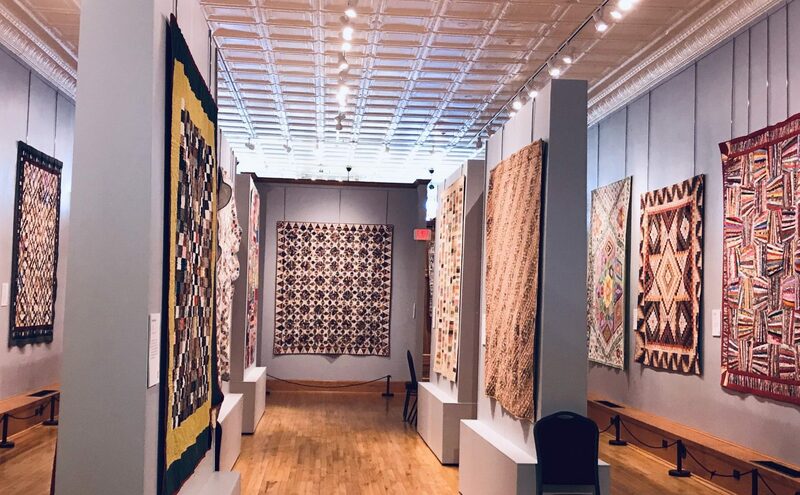 Resourceful quilters have a long history of making artistic quilts utilizing the smallest scraps and efficient piecing methods—adhering to the philosophy of “waste not, want not.” This exhibit is curated by Virginia Berger of Adel, Iowa. 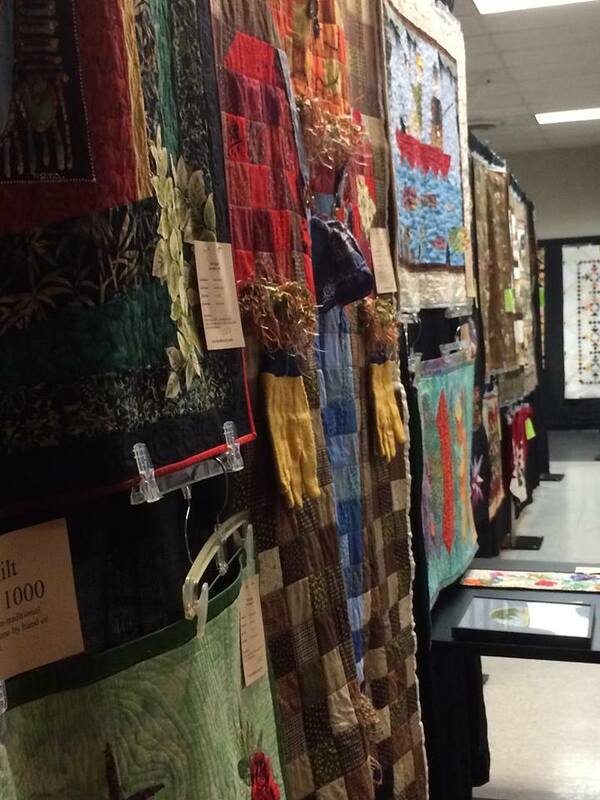 This show features over 100 quilts made by members of the Keepsake Quilters Guild to showcases the creative work of their members and raise money to fund guild activities. The show will be held at the Cedar Falls Community Center located at 528 Main Street (on the corner of 6th St. and Main St.) on Saturday, November 3, from 9:00am to 5:00pm and Sunday, November 4, 2018 from 10:00am to 4:00pm. 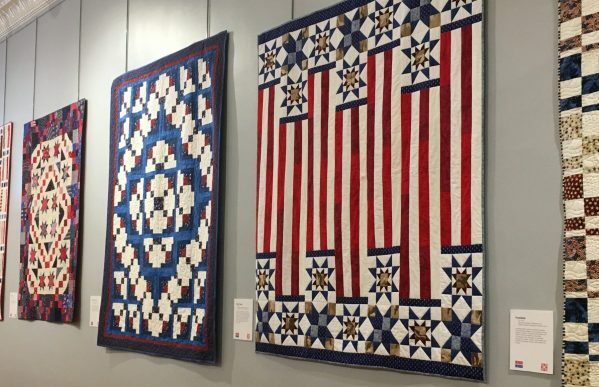 The Iowa Quilt Museum is proud to serve at the national headquarters for the Quilts of Valor Foundation, a national non-profit organization whose mission is to cover service members and veterans touched by war with comforting and healing Quilts of Valor. On Sunday, November 11th, in honor of Veterans Day, we will display a small exhibit of Quilts of Valor at the Iowa Quilt Museum and at 4:30 pm, will host a ceremony to award quilts of valor to local veterans. Admission to the museum will be free for US Military Veterans on Sunday, November 11th. Regular admission is $6 for adults. Iowa Quilt Museum Director, Megan Barrett, would be delighted to visit your quilt guild or civic group and share a presentation about the Iowa Quilt Museum. We ask only that you pay a mileage reimbursement and make a donation to the IQM in whatever amount suits your organization. Email Megan (director@iowaquiltmuseum.org) to book your date in 2019. Iowa QuiltScape is a feature of the Iowa Quilt Museum’s weekly e-newsletter, and will highlight quilting events happening all around the state. The goal of Iowa QuiltScape is to provide a central place for Iowa quilting organizations to share upcoming events and help quilters and quilter lovers across Iowa reach a broader audience.